We are officially in our second year of homeschooling, although I have to admit it almost feels like our first ‘real’ year. Last year was Kindergarten in the midst of a massive home remodel, so we had to keep things fairly flexible for sanity’s sake. This year we have our books and learning aids organized in a special cabinet (instead of cardboard storage boxes) and unlike last year, there’s actually a real table to sit around as we do our lessons. Oh yeah man, we’re pretty legit. As I ruminated over last year and planned for this upcoming year, I found my reasons for choosing homeschool a second time mirroring our reasons last year— we want to have our kids home so they can partake of our, um, ‘unique‘ lifestyle and so they can be free to learn and explore their passions outside of societal boundaries and expectations. As a second-generation homeschooler myself, I love the overall shift I’ve seen in the cultural perspective of homeschooling. As a homeschooled kid growing up in the nineties, I was often prodded and harassed about not attending public school. When it came to the idea of home education, most people were at the least, quite skeptical, and at the most, pretty hostile. As a result, I became very comfortable answering awkward, and often inappropriate, questions from acquaintances and random strangers about my spelling ability and level of socialization. Of course, homeschooling can be done poorly. But so can public schooling. And so can just plain parenting for that matter. But when done right? Homeschool is a beautiful thing. As we go into our second year, I have to say my schooling-style is somewhere in the middle between full-on unschooling and a more rigid, classical-style education. I like being in the middle. I’m not your typical homeschool mom with a giant planning binder and every teeny detail mapped out, and we don’t have a schoolroom that mimics a traditional classroom. Not that there is anything wrong with those things in the slightest– it’s just not who I am. That being said, I’ve found keeping a loose structure to our school IS vital to my sanity. There are too many moving pieces of my life to not have some semblance of routine in our homeschool activities. We’re definitely not rigid, but I do make a point to have the kids dressed, fed, and with their chores done so we can start by 8am. Trying to cram other tasks or projects in before we start school generally ends in disaster. I went back and forth and back and forth over curriculum this year. At first, I thought I wanted an all-in-one type curriculum, but after looking through many, many options, I decided to piece together my own curriculum once again this year. 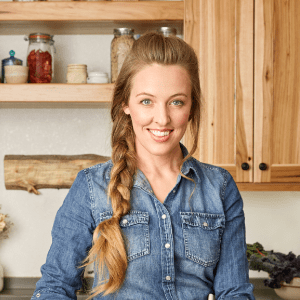 I just couldn’t find something that really fit Prairie Girl’s specific strengths and weaknesses, and many of the packaged curriculum sets I looked at seemed like they had a lot of fluff in them. If there’s one thing I’m not, it’s fluffy. Give me solid, proven basics, please– I can’t stand busywork. 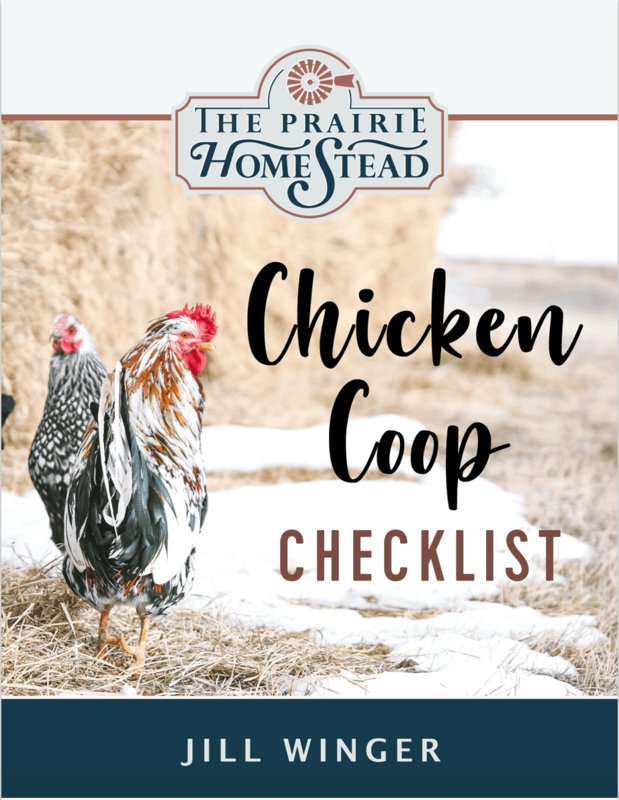 We worked through a good portion of Teach Your Child to Read in 100 Easy Lessons last year, and Prairie Girl did well with it. 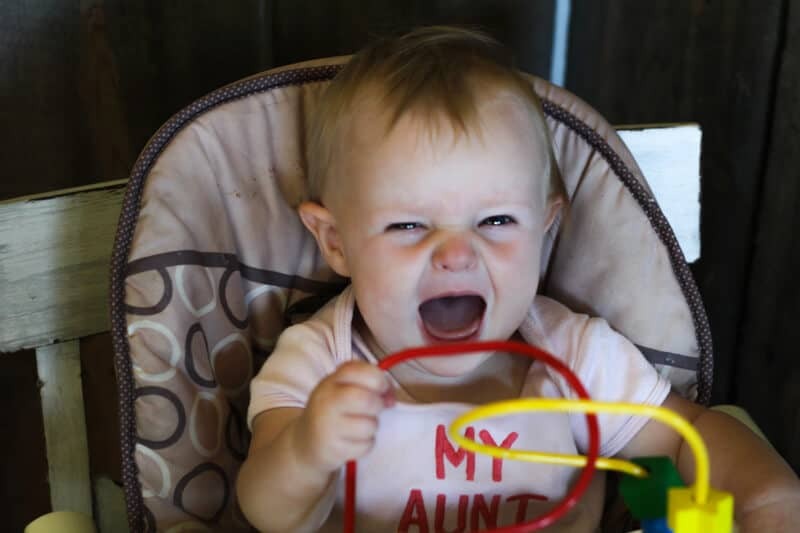 She knows all her letter sounds, and is fairly comfortable sounding out 3-5 letter words. 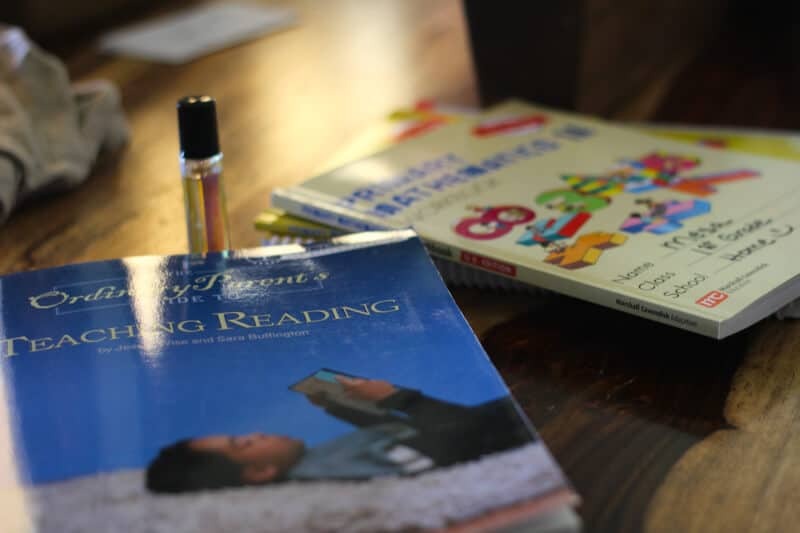 But while she can technically “read,” her level of mastery isn’t quite where I’d like it to be, so I decided to take from a different angle and try The Ordinary Parent’s Guide to Teaching Reading. The initial lessons are pretty remedial, but I already see her confidence being built back up after the summer off. And bonus– Prairie Boy (almost four years old) sits at the table with us during reading and has been picking up on his letters and sounds at the same time. 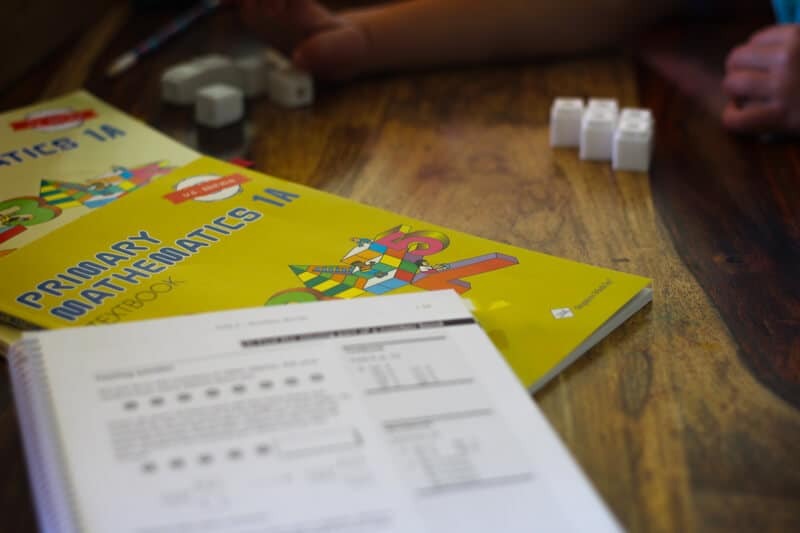 Language arts have always been my strength, but Prairie Girl seems to gravitate towards math… We went with Singapore Math this year, which I really like so far. There are three books for each grade/level– a teacher’s guide, a textbook, and a workbook. The teacher’s guide explains the nuances behind the concepts and shows how to introduce them with blocks, cards, or other aids. The workbook and textbook correspond to drive home each concept. 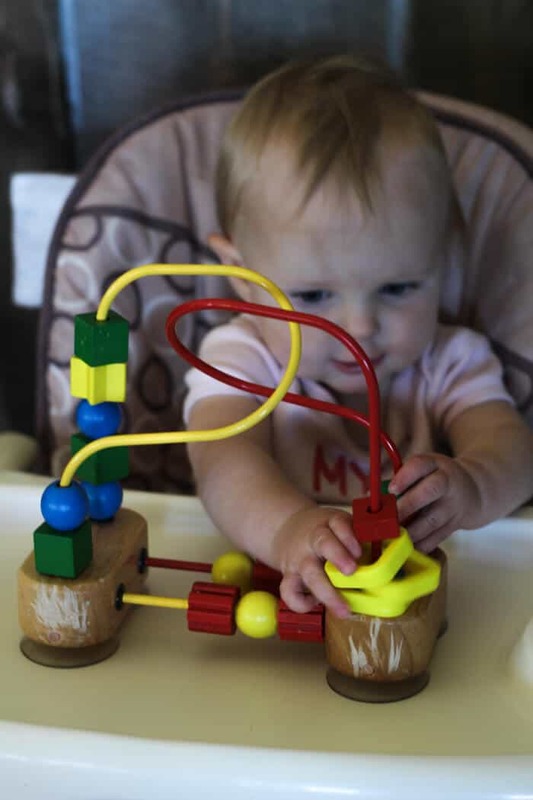 We’ve been using our set of Unifix cubes quite a bit too, which works well as Prairie Boy can practice counting or patterns with the blocks while Prairie Girl is working on her problems from the textbook. We are using Handwriting Without Tears. It’s fairly basic, but the lessons are inviting and easy to understand. I think we did have tears one day, but that’s just a six year-old girl for ya…. 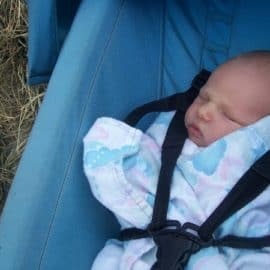 Last year Prairie Girl and I hid in the grass and watched Oakley the milk cow have her calf. Afterwards, she helped me clean off the afterbirth, which prompted further discussion about placenta, colostrum, meconium, and so on. Prairie Husband always has some sort of project happening– right now he’s working on building a new shop. The kids are constantly out in the middle of his projects and pick up on a surprising amount of information. Last week Prairie Girl told me a nut had fallen off her bike. I told her I’d go out and fix it for her in a bit, to which she replied, “It’s OK mom, I already fixed it with a wrench.” Sure enough, when I went out to check later and she had dug through the tool box until she found the proper-sized wrench to re-attach the wayward nut properly to her bike. I heard glowing review after glowing review about The Story of the World, so decided to give it a try this year. So far, it’s a hit! Some days we sit on the couch and read chapters aloud, and other days we work on corresponding craft projects or map work. Our Lego pyramid and Nile River was pretty sweet, if I do say so myself. At first I just purchased the textbook, but ended up grabbing the corresponding activity book after the fact. Because my brain doesn’t have capacity to come up with ultra-creative crafts on its own. But we persevere. Because isn’t that one of life’s biggest lessons anyway? Just keep going and don’t quit on a bad day. Right on! I have the same attitude about homeschooling as you do, and I’ve homeschooled my three children (ages 13, 11, and 6) from the start. We homestead in the wilderness in the Pacific Northwest, and as you know, nature is the best teacher of all. Working and living alongside us, our kids learn all kinds of hands-on things. How many children can say they assist when goat babies are born, or collect still-warm-from-the-inside-of-the-chicken eggs, or slaughter their own meat birds? I wrote a blog post about this recently because I struggle with the question if I’m doing it “right”. I’m German and was raised in an insanely ambitious academic environment, so my casual homeschooling approach sometimes produces anxiety in me. But then I look at my kids, and I see that the proof is in the pudding. They are awesome, capable, kind human beings. We’ve been home schooling since 2002. I’ve also used History of the World and Handwriting Without Tears. Both worked well for our family during the time we used them. Our youngest just began 9th grade and I must say I we are far more “relaxed” in our educational style today than we were in the beginning. I had to giggle at your, “Seriously honey… that reaction is SO 1995…“, as others often say things like, “I am really very against that whole home schooling thing, but your kids seem to be doing pretty good.” Although I “bite my tongue”, I am sure my facial expression conveys exactly how offensive I find their comment to be – I have never quite been able to master the “poker face”. 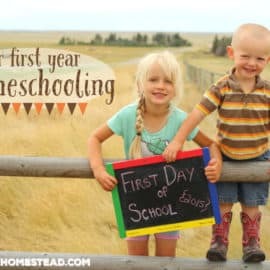 I hope you and your country kids have a great home schooling year. Ha, yes! The poker face is not my strongest talent, either! Is the curriculum you posted about Christian based, been having problems finding awesome non Christian curriculum. I know STORY OF THE WORLD is secular. Great book! Check out Cathy Duffy’s reviews on her website. I’m pretty sure she mentions if a curriculum is religious-based or not. Story of the World has some Biblical references, but also has mythology. You could skip over either, depending on your worldview. The rest of the books I listed are not Christian-based– just are regular books. Our Son is in Kindergarten and as we struggle with him hating to sit and his teacher telling us he did poorly on a standardized test (In Kindergarten? What? Also, his results said he passed so what, exactly, was poor about his performance??????) we think perhaps homeschooling would be better for him. Unfortunately, or fortunately, he really likes the whole school environment and is quite against being home schooled. Time will tell. Seriously though, standardized test in Kindergarten? What is wrong with this world? We home schooled preschool and when our son went to Kindergarten, the teacher made the comment that she didn’t have to teach him much because he already knew the lessons. That made our day knowing we had gotten our son off to a good start. He was in the forest picking mushrooms with his dad and grandpa, counting the eggs from the nesting boxes, learning how measure while helping his dad in the shop, he got anatomy lessons when we butchered or hubby brought home wild game, etc. 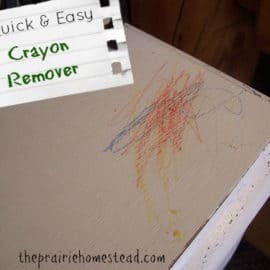 Like you, I’m not very crafty, but we did keep craft supplies around so that he learned colors, how to hold pencils and crayons, and use scissors. Although he attends public school, we don’t allow them full reign on his education. During the summer months, we usually pick a “subject” he wants to learn about and work on that. One year, we did woodpeckers because he had become fixed on Woody Woodpecker and wanted to learn more about it. It has been easy for us to find material for his “summer school”. I started homeschooling our 3 year old for preschool this year. It’s mostly just for fun and doesn’t last more than 45 minutes a few times a week. My problem is keeping my 1 year old out of trouble at the same time. We’ll be having another one here in a few months and I have no idea what we’ll do when we really start “school”. I try to involve him but his attention span is much shorter and he’ll end up out the door and opening the gate into the barnyard within seconds. How do other moms do it? Check out Afarmhousefull on YouTube. She had 8 kids, including a recent newborn, and has a video on homeschooling with toddlers. Yeah, finding keeping the 11 month old is a challenge as well. 😉 We just do the best we can– I like to use special toys or just wait until morning nap time. This is our first year for homeschool and I was a public school girl so this is a very new realm for me. I love that your first grade curriculum is very similar to what we are using with my daughter! We love the History of the World book and the workbook is so helpful to counter my lack of creativity with projects! Best of luck with your endeavors!! Thanks Heather– and best of luck with your first year! sounds like a great year! have you checked out anna comstock’s handbook of nature study? it’s an excellent resource for getting the most out of everyday “findings” ! it’s a little pricey, but I’ve used mine SO MUCH the last 18 years – definitely worth it! 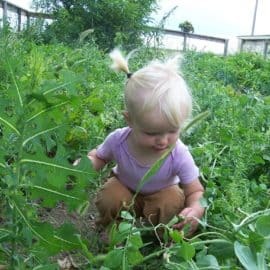 Also, there is a post here http://www.beanpostfarmstead.com/kids-garden-planner/ on a kids garden planner I’ve done to help those experiences more “school-ey” but still fun! We who live out in the country have so many learning experiences just beckoning to us on a daily basis! Can’t wait to check out that handbook Joy– thanks for the suggestion! I love this posting!!! We too homeschool….a 5th and 3rd grader. We too use Singapore math and love it!!! The one area that we have tried a few different curriculums for Lang. and Phonics but always return to Rod and Staff. So far we have used them all 5 years for our 5th grader. Their material may not be as flashy as some out there but I’d rather have great content than flashy color! Rod and Staff mathematics, English and spelling curriculums were an excellent choice for our family. I used it with all our children through 8th grade. Whenever they began their high school curriculums, they all had a very solid foundation in mathematics, grammar and spelling. I hope it is as successful for your family as it was for our. Oh my gosh, is the kitten ok? This is a great list of materials and good tips on schooling, thanks! We’ve been homeschooling for about 4 years now, and can’t imagine life any other way! I think I enjoy STORY OF THE WORLD as much as the kids! One book I always recommend to other parents, especially homeschoolers with an interest in homesteading or gardening is Ben Hewitt’s HOME GROWN. Simply the most beautiful book about empowering children. Sounds like a good one– will have to check it out! We are also in our second year of homeschool, our six year old dd1. We’re flipped, though, in that this year has to be a bit more freeform because we’re building/starting our homestead. I’m comparing SotW and Mystery of History… hopefully we’ll order one or the other so we can do something new when we hit that January slump. I’m a grown up (well sorta) homeschool kid. I remember all the tears and frustration I went through, because learning wasn’t always easy for me. Now that I’m grown, I am eternally grateful for the hard work my mom poured into me. The foundation she gave me is so much more balanced and advanced than any of my peers who went to public school. So hugs to all the mamas out there dealing with a cranky little kid that doesn’t seem to learn. Believe me, they are, they’re learning way more than you ever realize. I think that learning to think outside the box is probably the most valuable lesson I learned. To have it taught from a very young age that the world won’t end if you don’t go to public school, it will pay off huge later on. Hang in there mama. You’re shaping the next generation of leaders. Your worst days aren’t as bad as you think. Be strong. We homeschooled our last three kindergarten – 12th, and they got a much better education than the older kids. We used Mortensen Math, it’s very hands on (I learned how to do fractions with the kids) and yes…Hooked on Phonics really works. And if you think it’s fun now, just wait until you get into genetics! We used our horses, goats and australian shepherds as live models in predicting color patterns, etc. Don’t get discouraged by the naysayers, it sounds like you are doing a great job with the kids! Our oldest of the three got a free ride and rodeo scholarship her first year at college, and our middle girl went to college her mid 20’s and got a 4.0 her first semester. They are also very well socialized, having friends from young children to elderly. I must agree with Glenda about Hooked on Phonics. When we removed our older child from public school (a 7th grader reading on a 2nd grade level at the time), we were blessed to purchase a deeply discounted used HoP curriculum. Our student was not very happy about using a “baby” curriculum at the age of 12, but within one school year, he went from reading on a 2nd grade level to a high school level. We decided to use HoP with our younger children during their pre-school years and by the time they began home school “1st grade”, they were already reading on their own and our beginnings were SO easy. So awesome Glenda! I love hearing stories of other successful homeschool graduates! 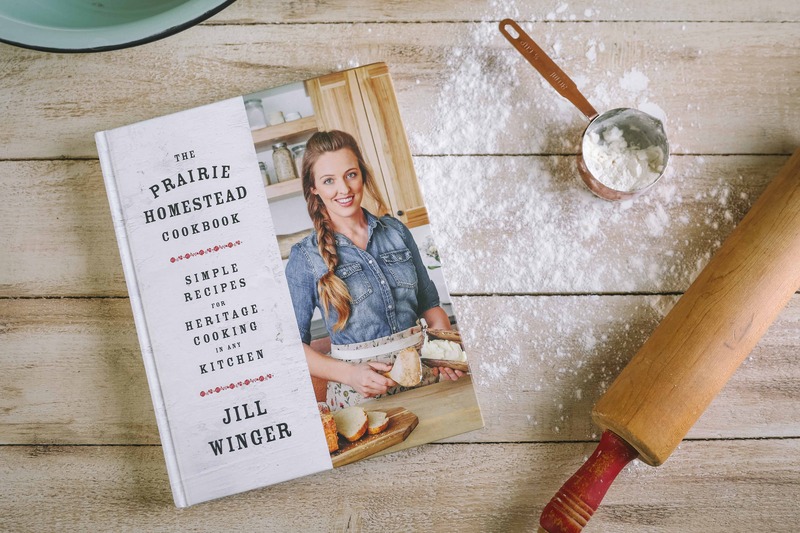 Jill, I am also a homeschooler- AND we’re using Story of the World as well! I wanted to point you to how I discovered it. I am a fan fiction author, and one of my readers ended up being a 14 year old homeschooler (I had mentioned in an author’s note about homeschool and trying to come up with a curriculum and she kindly put me in email contact with her mom, who is a former special ed teacher who started homeschooling when her now 18 year old son was 5, and she now has 9 kids, so I got some great advice from her curriculum wise after her 13 years of trial and error). 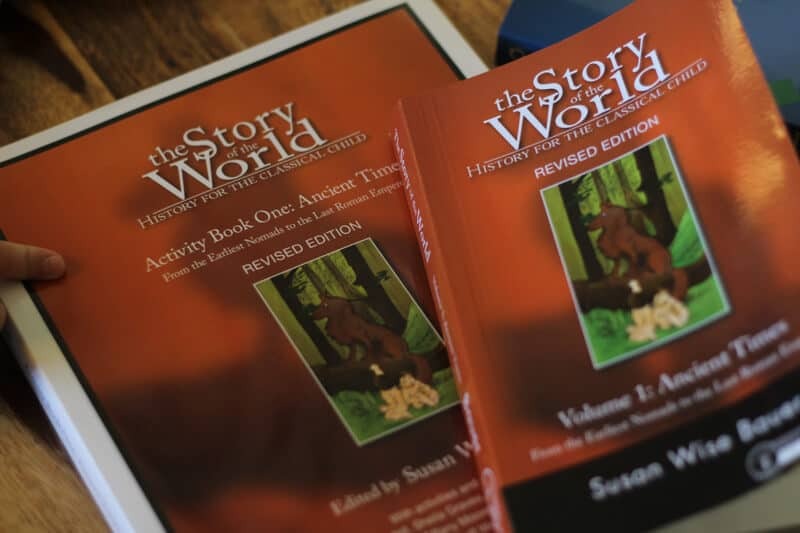 She linked me to http://www.homeschooljourney.com/, where a fellow homeschooler had utilized SotW to come up with history portfolios (and a nature one that I want to get soon) as an accompanying workbook of sorts for the SotW series. These portfolios are cardstock in a long but skinny binder (skinny as in height- it’s about 1.25″=1.5″ thick at the binding), which makes them great for hanging onto the completed ones permanently. The first half is the child’s space (she has history portfolio junior for early elementary, and more advanced ones for older kids), and the second half is a parent guide. The reader (the 14 year old) said that compared to her public school friends, she actually knew far more about history using these portfolios in tandem with SotW series books. The pages look something like lines for writing, cut and paste and color pictures and activities, etc for elementary grades (obviously the older grade ones are more advanced work). They’re also inclusive of biblical history as well (they’re Christians too) in their Ancient History Portfolio Jr and regular version. We love it, and it goes very, very well with SotW. It provides plenty of writing practice, coloring and cutting and pasting (motor skills), and utilizes all 3 learning styles so that the child commits the history lessons into memory. I HIGHLY recommend them, and if you’re already using SotW, it would be super easy to apply these portfolios to it (bonus, they’re not expensive at all- less than $40 if I recall correctly). Since you mentioned not being the type to come up with an accompanying setup to them yourself, I thought you might be quite interested in the portfolios- they are honestly so easy to teach with, and I love the fact that biblical history is included as well. And my eldest (she’s 7- second grade this year) has a blast doing it (the 4 year old wants to participate too, so might make paper copies of it for her knowing she can’t do the whole thing but letting her feel included in the process). We also like Saxon math because it’s also SUPER easy to teach, utilizes all 3 learning styles, and have read enough reviews and talked with my Christian schoolteacher aunt with 30 years experience to know that it’s unarguably the best math program out there as far as making sure that the kids get every concept they need without missing holes (I moved everywhere-24 times- prior to high school graduation and had some “holes” in my math foundation due to that- I was a public school kid, so this helps greatly in knowing that my girls will not have the same holes I did). It’s also top ranking on memory retention of facts and concepts (I’d go with older versions if you can because I did read newer ones weren’t quite as good as older ones- amazon has them for decent pricing all things considered). The other subjects are apologia for science (though I do love your “homestead as a science lab” setup- we do that with my garden as well, and are hoping to expand to chickens as soon as we can get a coop built (I only have a 1/4 acre, so sadly no bigger animals 🙁 ), and we love our annual field trip to the fair 🙂 My eldest is reading comfortably now, for the most part (she’s working through her first full children’s novel now- got up to chapter 12 out of 23 in three hours with me helping her with tougher words), and she was able to read all the cool info about the various farm animals (and saw a horse that was, well, rather “excited” and not “fixed” and learned how to accurately identify stallions…ahem…) and she learned quite a LOT (including what breed of bunny she wants and is now continually asking me for a palomino….). But the apologia does help with a bit more of “formal” science learning but from a Christian creation perspective as well. But we do love our outdoor classroom and the local wild parks (we live near Coeur d’Alene, and love walking in the woods), and we also love netflix PBS science shows (she saw a lionfish at the fair in an aquarium tank, and immediately and correctly identified it on sight- we were impressed. Apparently she saw it on Octonauts). Language arts is a combination. We got some older Scholastic full workbooks (it mentions George W. Bush, to give you an idea) that were vastly better than their new Common Core counterparts (I hate CC with a vengeance), and they included a whole section on grammar AND maps (I want her to know all 50 states and capitols prior to us starting the History Portfolio modern-1600-present- so she can easily read the maps in it). That is helping immensely with grammar and whatnot, and geography. And for bible lessons, we simply sing the books of the bible song, and I found a 192 page coloring book that covers a wide range of bible stories and includes the chapter it came from. So I got her a New International Revised Version (same as NIV, but with simpler sentences instead of complex ones for beginning readers) and we read the story passage (with my help on tough names) and then they color in the coloring sheet. And I found a fellow blogger’s Daily Learning Notebook (free download) that covers date, calendar, time, money (for elementary, not pre-k), months, weather, etc with self-laminated sheets for daily work that they use dry-erase markers on, and paper calendars, how many days in school (elementary includes a tally month page where we write down the day number we did school), monthly name writing practice (to see handwriting improvement), and a record of the daily weather for a month in a sideways bar graph format so they count the type of weather most prevalent in that month at the end of it and learn graphs at the same time. They also learn how to identify numbers 1-31 (depending on the month, obviously), and learn how to write the number names (one, thirty-one, etc). Thank you, thank you for all the tips and suggestions!! You’ve made some great choices – I homeschooled through high school and it was the best decision, especially as I look into the world today. Teaching history in a timeline that’s biblical based is so fun, I remember many of those lessons brought out neat discussions. From the early days I had the kids keep journals to inspire creative writing and encourage handwriting. We had a jar with topics and three times a week we’d pull a topic where they could write a few words and then as time went on sentences turned into paragraphs. It was neat and it got them to really think outside the box and have an opinion. Enjoy this time it goes by fast..
We’ve been HSing for 6 years now. Love it. Anyhow, just wanted to throw in there “Winter Promise.” It’s a really fun curriculum and I honestly think all kids will enjoy it. I wish I would have looked into it sooner. I was a very rigid kind of schooler and have leaned towards unschooling quite a bit. WP is more gentle and lots of fun for the kids. FYI what prompted me to write this is when you mentioned you chose SOTW. I tried to use it but it just never worked and led me to WP. ? We’re a homeschool family for many years now and storyteller Jim Weiss has always been part of our “homeschooling family”. He is an amazing storyteller and our whole family loves listening to him. He has a wonderful variety of stories available. I’ve always been amazed when my kids know something that I don’t remember teaching them and I ask how they know that. They often say “Jim Weiss”. Good enough for me! 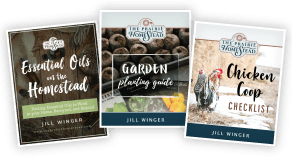 If you’re not familiar with Jim, I suggest you check him out, he’s a great addition to anyone’s homeschooling adventure. Home schooling can be a wonderful thing! Especially when the children have an environment like yours where they have so many real life, hand on experiences and see how what they are learning can be useful in their everyday living. Most children use meaning and structure naturally until we start focusing on visual and then they can tend to resort to all visual and neglect the meaning and structure. A strong reader is always cross checking all three structures: Did that make sense? Sound right? Look right? She is ready to get her finger and move across it slowly looking for the parts she knows so that instead of trying to go letter by letter she looks for spelling patterns. Spelling patterns are letter combinations that usually have the same sound: ee, ay, ar, ou, ow, ai, at, am, an, in, on, etc. When a child can notice these and use them it makes analyzing a word (sounding it out) much more efficient. There are great resources by some true giants in reading acquisition world. Gay Su Pinnell and Irene C. Fountas have written: Word Matters, and Interactive Writing. Linda Dorn and Carla Soffos have written: Shaping Literate Minds and Reading Interventions (this book has a great chapter on letter and word work), Susan L. Kempton wrote The Literate Kindergarten Where Wonder and Discovery Thrive (this book is not just for Kindergarteners! I used the information in this book with first and second graders). My favorite math resource is by John A. Van De Walle called Elementary and Middle School Mathematics Teaching Developmentally. I love this book. It is not just a wonderful resource but you could probably use it as a big part of a mathematics curriculum! It is a very accessible book, very clear and easy to read and understand with lots of examples. Most of these books are probably available in libraries so that you can view first and then buy if you think it would be a good resource. Lots of wisdom here– thanks Linda! Thank you Rebeca– I appreciate that so much! Having rather successfully (kids are 36, 34, 32 and 30) homeschooled -should say my wife homeschooled, I was the more detached working-full-time supervisor this is more an encouragement to those of you in the middle, or especially beginning this adventure. None of our kids did regular college afterward (34 year old did 3 1/2 years in a small bible college, 32 (daughter) did some at the same college) they all are married, have children, decent jobs and support us more than we support them. Like Jill describes, we were pretty un-school. I interacted regularly with the children, especially when wife was getting frustrated with boys that had other interests than schoolwork to make sure they were progressing, more in how to learn than particularly what they were learning. If they could “learn” what they wanted to know, I was pretty confident they would be able to figure out what they needed to know. 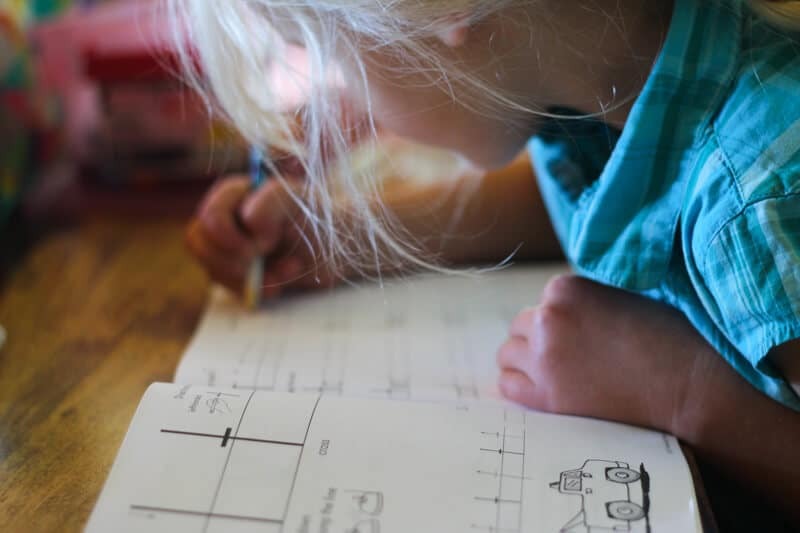 We had access to the California Achievement Test and administered them annually to ours and generally a dozen more home-schooled children to show “the system” that they were on track. These were graded independently, not self-scored. The most important aspect is to be actively involved with your children and use every opportunity for passive learning, especially pursuing things they are interested in. All the rest will follow. Go for it – and don’t be afraid or doubt yourself. You have a greater interest in the outcome than anyone else. Love this– thanks for chiming in Daniel! How fun to hear that you homeschool! We’re in our third year, and we’ve use SOTW and Singapore Math as well. We lean toward classical education but piece together a lot of things. In fact, we started using Sonlight’s literature schedule this year, and that has helped me keep a steady list of what to read for both kids. Most of the books on the list we check out from the library or order from Amazon. I can’t wait to hear more about your homeschooling year! I love to hear about other people enthusiasm for homeschooling! It’s hard for me to believe but my kids this year are in 11th, 7th, and 4th grade. We also live on a farm and they are all raising animals for 4H so yeah, lots of science going on without trying. I thought I would share some book titles with you that we have enjoyed over the years. We use Charlotte Mason’s methods for schooling so our days are filled with tons of wonderful living books. For history, you might check out Ingri and Edgar D’aulaire’s books. They are beautifully illustrated and very engaging. They have one on Greek Myths that would pair well with your ancients study for the year. Also, books on Franklin, Washington, Pocahontas, etc. For science we loved the vintage copies of Let’s Read and Find Out Science. Such wonderful little picture books on anything from blood to electricity. You can get new paperback copies at your local book store but if you can find the vintage hardcovers on eBay for a reasonable price, the illustrations are so much better. They’re the kind of books you save and pass down. I used them in second grade with my daughter but my son could read them on his own in first grade. They read the book one day, then did copy work the next, and on the third day they wrote 2-3 things they learned. Short and sweet and not overwhelming. They both loved it. One last one, for math I found Math Lessons for a Living Education on Rainbow Resource. I LOVE these books. I really wish they would have been around when my older two started out. My youngest has much better ‘practical math sense’ and I think it came from these books. We are planning on homeschooling as well. Our little boy is just two so I haven’t begun any serious research but it is great to hear what other people are doing! Especially since your attitude towards homeschooling is very similar to ours! Our little boy is already learning all about bugs and plants as each morning we go out to feed the chickens and do a little gardening where we look for slugs and snails and the odd worm to feed them. He loves it and I just can’t face the idea of putting him in a classroom all day! Yes, it can definitely be frustrating to deal with those who don’t understand your choices sometimes. Sounds like your son is on the right track! Second generation homeschool here, as well! I had an excellent experience, my husband had homeschooled a few years himself, but his was less positive. We started with the ACE paces to give something with a BUNCH of structure (since we were splitting the week in halves as to who was doing the teaching). Structure was VERY important to my husband this first year so he didn’t feel like he was missing something. It’s turned into his favorite time of the day with the boys! I think that I’ll be able to do some subbing next year and have loads of plans. I LOVED Abeka history and science growing up–and Saxon math is SOLID. There’s a VERY strong family tendency towards math and the 4-year-old really surprises me in how easy it is for him. 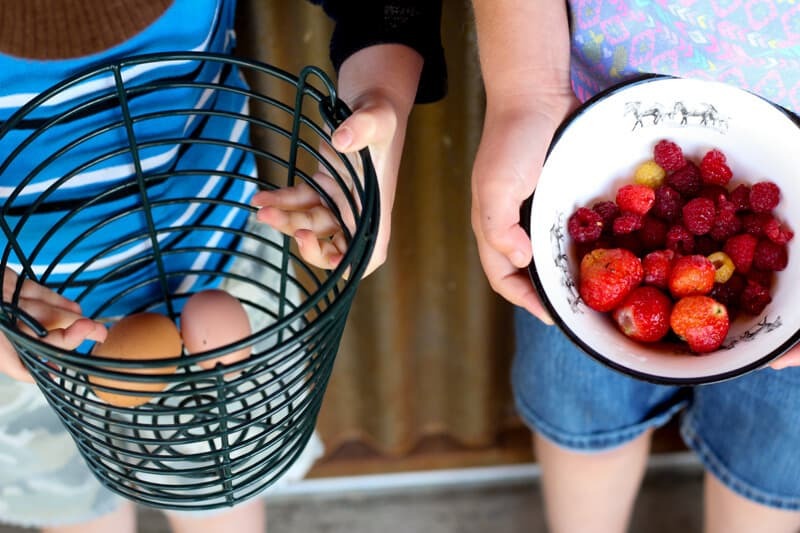 The beauty of homeschooling–ultimate flexibility to choose what works best for our kids. :). From one graduated-from-the-1990s-homeschooling-era momma to another, cheers! Wow I stumbled on this by chance! Your children sound so much like my own! Except my four year old is another little girl, I also have a kindergarten age girl and then I have a two year old girl also tagging along behind her sisters! This gives me such hope because I wasn’t sure I’m doing this whole homeschooling thing “right”! Hahaha I grew up on a farm in Ohio and we still go back a lot (we are blessed to do that) but we had to move to the “big city” in PA. It’s hardest for me as I’m used to the open fields and animal smells. But we still have a pretty big garden and learn a lot in nature on bike paths, parks & such. I chose homeschooling for a variety of reasons. I get the eye roll and the “oh they won’t be socialized” – a lot still. My response is generally the same, I knew a lot of socially awkward kids in school with me growing up… (and yet they were in school? Go figure it seems school doesn’t solve all issues…) anyways this whole post above you wrote was very reassuring, helpful for future curriculum (we already use some parts you mentioned), and so much like US. I continue to look for a farm near the “big city” within our budget but that has proven super difficult. Thanks again for resonating with my heart ?? I sit here reading all this at 11am, still in my robe, while my youngest a senior in HS is upstairs doing his physics lab report. He and his older brother who is a Junior in college have be home schooled all along. I want to encourage you that I made mistakes, sometimes I did not push hard enough in some areas and in others I spent too much time and worried too much about what turned out to be nothing. My son’s thoroughly enjoy each others company. My 20 year old calls from college and hears we are moving and splitting fire wood and wishes he could come home to help. We as a family enjoy and love being together. My son’s are advanced in some subjects and yet they both struggle with others, are they crazy smart, yes and no. But the most important with us is that with God’s grace I have two sons that love the Lord and are seeking their paths in life with what He wants them to do. Their character and level of maturity amazes even me… how could I ask for more. So let the little stuff go, and cling to that which matters most. The worlds ideas of what we do as homesteaders, home schoolers and even Christians is not what matters. You have the live I want for my children and family. 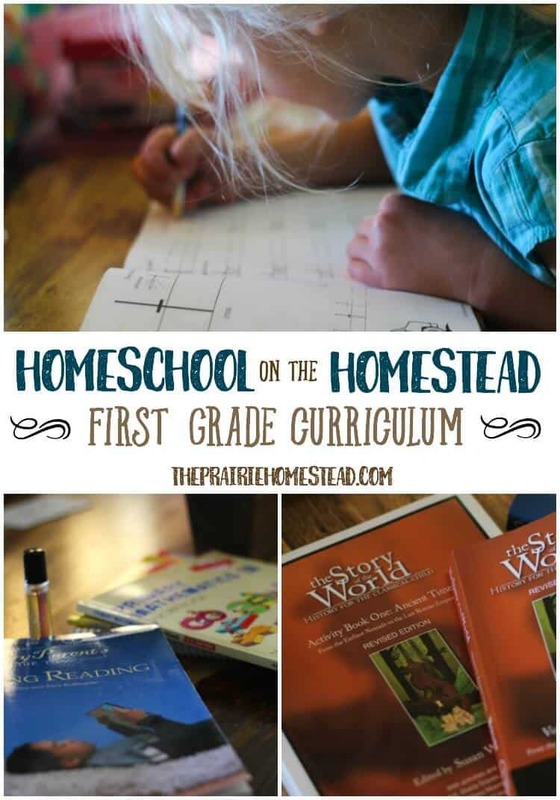 Homesteading in the country and homeschooling. I think it would be SO valuable for a child to be at home and see their parents working and taking part in that work themselves. How much time can a child really spend on the farm and learning how it works when they have an hour bus ride to school (common in rural areas), seven hours of school and two hours of homework. 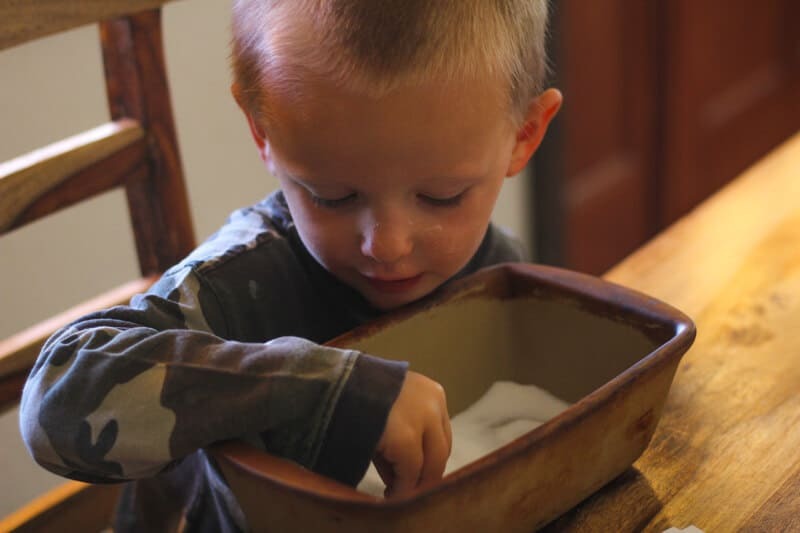 If you subtract sleep, hygiene, meals and much needed play time… there is little time to watch and learn or for farm chores. I was that socially awkward kid in SCHOOL and school made it even worse because I was bullied for being so “weird”. Your blog makes me want this even more for my 4 year old and 4 months old.